While covering a peaceful protest in Ankara, RT’s correspondent was sprayed by a water canon law enforcement vehicle in front of the cameramen and the crew. The video shows that the truck deliberately started spraying the correspondent, as the stream of water directly target the news crew. 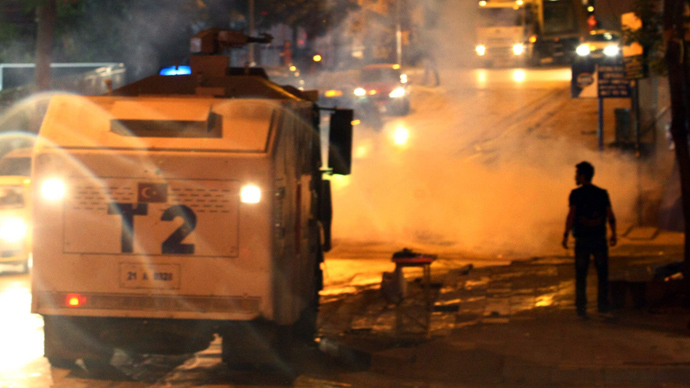 It further shows the police truck spraying anyone on the streets. Outrage over the police tactics also exploded on social media as rubber bullets were used by law enforcement to disperse the march at Taksim Square on Saturday. Water cannons were also fired to quell thousands on a day when Prime Minister Tayyip Erdogan announced a “foreign conspiracy” was behind the three week long protest. Armed with carnation flowers in the hand, demonstrators approach the police line when they were met by force, flanked by water cannon, to clear the square. "Police, don't betray your people!" demonstrators yelled as police dispersed them. On Friday, the Turkish publication Hurriyet reported that Ankara spent $8.5 million on purchasing gas grenades and rubber bullets from an American company in Pennsylvania over a 15-month period between October 2011 and December 2012. 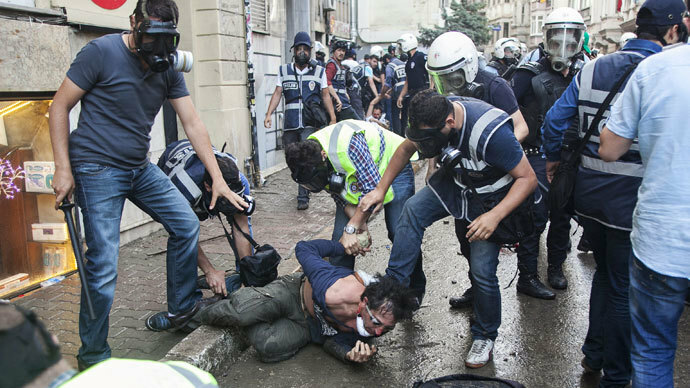 With at least 4 dead and more than 5,000 injured in the demonstrations, the government is also intensifying its judicial crackdown. 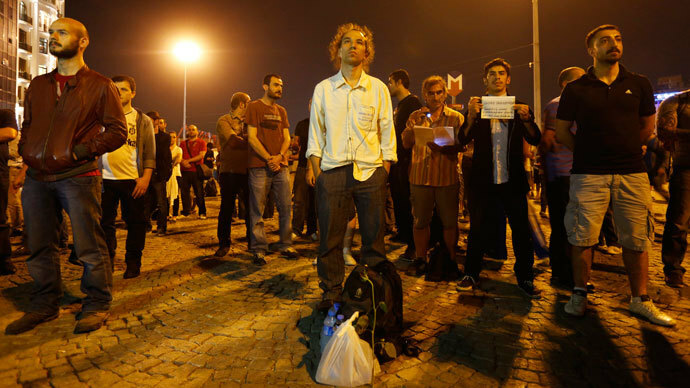 Dozens of suspected protest organizers have been arrested over the last week. On Saturday, a court in Ankara said that 23 more people were arrested and accused of aiding a “terrorist” organization. The detained are accused of organizing the protests and engaging in violence for the Communist Marxist-Leninist Party (MLKP), AFP reported. 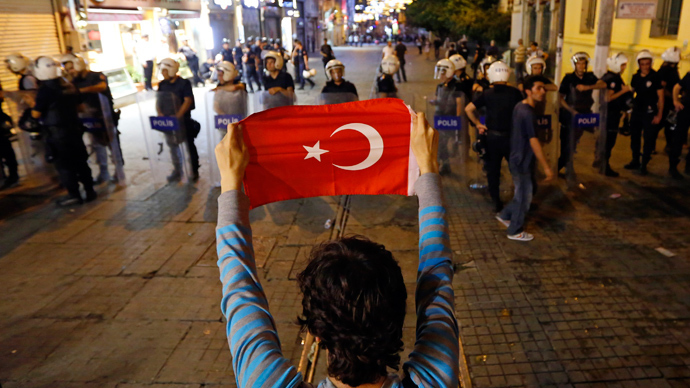 The sting operation which started on Tuesday against leftists cells in Turkey has now detained at least 47 people. 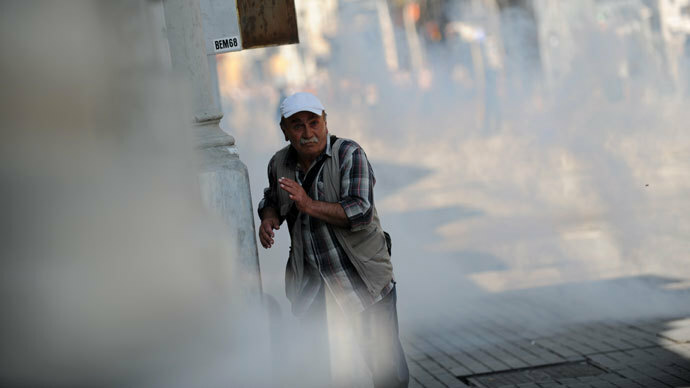 Violence in Turkey erupted on May 31 after a peaceful protest against plans to demolish Istanbul's Gezi Park was dispersed by police using force.